A protest „against the annexation of northern Kosovska Mitrovica“ was held today at noon in front of the EULEX building in North Mitrovica. This protest was organized a day before the protest “1 out of 5 million” which will be held tomorrow for the very first time in this town. The protest was organized by the head of the Hospital Center, Milan Ivanovic, the rector of the University of Pristina, Rade Grbic, and councilor in North Mitrovica MA and student leader, Nemanja Bisevac, who addressed the public. Apart from the employees in these institutions, the protest was also attended by the employees of Trepca, whose representative also addressed the public. The head of the Hospital Center, Milan Ivanovic described this protest as “civil”. „Because of Albanian violence, tyranny, terror, because of anti-civilization and anti-Serb taxes, and today especially because of attempts to annex North Mitrovica,“ he underlined. He devoted most of his speech to the protests which are planned for tomorrow and expressed harsh accusations. Ivanovic also said that those who go to „some opposition protests“ in Belgrade should „be ashamed“ because, according to him, there are more protestors in Mitrovica „in which there are 15,000 thousand people,” than in “Belgrade with two million citizens”. „What do they want, maybe to demolish and ruin our state,“ Ivanovic also revealed the goal behind “1 out of 5 million” protest. 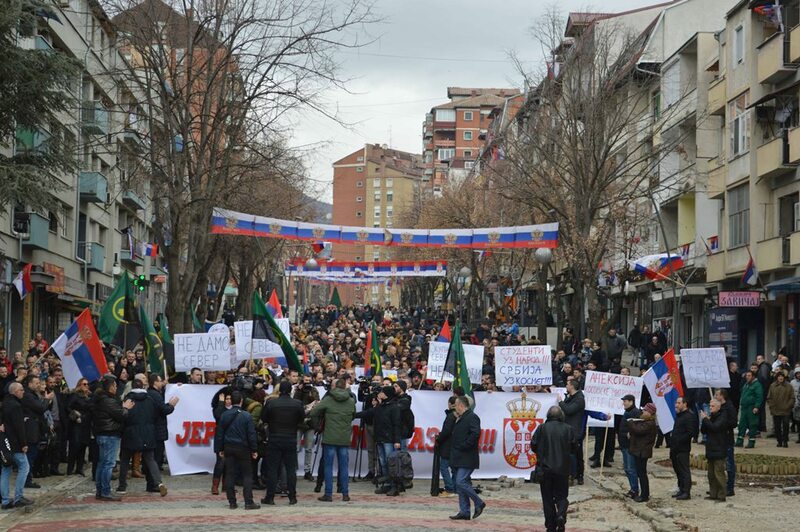 According to estimates from the field, today’s protest in North Mitrovica was attended by more than a thousand people. He also had several demands – for the Serbs from North Mitrovica who were arrested at the end of November on the suspicion of being involved in the murder of Oliver Ivanovic to be released and for the taxes on goods from Serbia introduced by Pristina to be abolished. Ivanovic advised Serbia to „consider introducing reciprocal measures“ and defended one of the suspects in the case of the murder of Oliver Ivanovic, Srpska Lista Vice-President, Milan Radoicic. The rector of Pristina University, Rade Grbic also addressed the citizens, saying that only unity can help overcome the largest problems. He praised the students and claimed that the “annexation would jeopardize the survival”. Grbic also explained the reason for the gathering, which is to “remind the entire international community that we are disenfranchised and that our basic human rights are jeopardized”. „Yesterday taxes, today annexation, or in translation – the occupation of Kosovska Mitrovica, tomorrow the occupation of Zvecan, the day after tomorrow Leposavic, Zubin Potok, and tomorrow the occupation of ‘Trepca’,“ the former mayor of North Mitrovica, Goran Rakic warned. What the mayor of South Mitrovica, Agim Bahtiri is calling “the unification of Mitrovica”, the protestors called today “annexation”. This term was first used by the head of the Kosovo Office, Marko Djuric. Srpska Lista Vice-President, Igor Simic, on the other hand, warned that the adoption of Trepca’s statute is expected tomorrow. 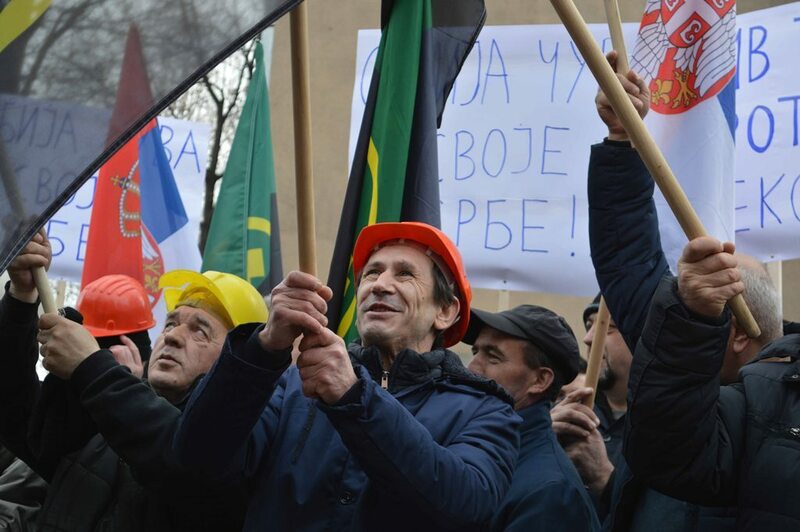 „The blocking of a functional Trepca-Sever system that Serbs had preserved in the area of Zvecan, Leposavic, and Kosovska Mitrovica municipalities would thus complicate the functioning of the plant that is currently employing more than 3,000 workers,“ Simic stated. Multiple complaints about the alleged pressure not to attend the protest walk on Saturday and that the employees of institutions were obliged to appear today at the rally have been arriving since yesterday. The rector of Pristina University, Rade Grbic and the head of Mitrovica Hospital Center, Milan Ivanovic, however, denied these allegations for KoSSev.